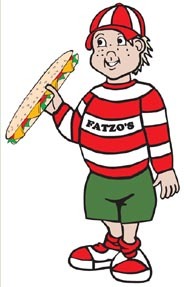 Fatzos offers an extensive menu for the whole family, featuring subs, pizza, wraps, tacos, soups, salads and more! Planning a party? We can put together a tray of subs for you and your guests which serves up to 10 people. We are open all year and offer delivery service 7 days a week! Stop by and see us at 46 Green Bay Road in Sturgeon Bay, or call us at 920-743-6300. Nov-Apr, M-F 10-7, Sa-Su 10-3.